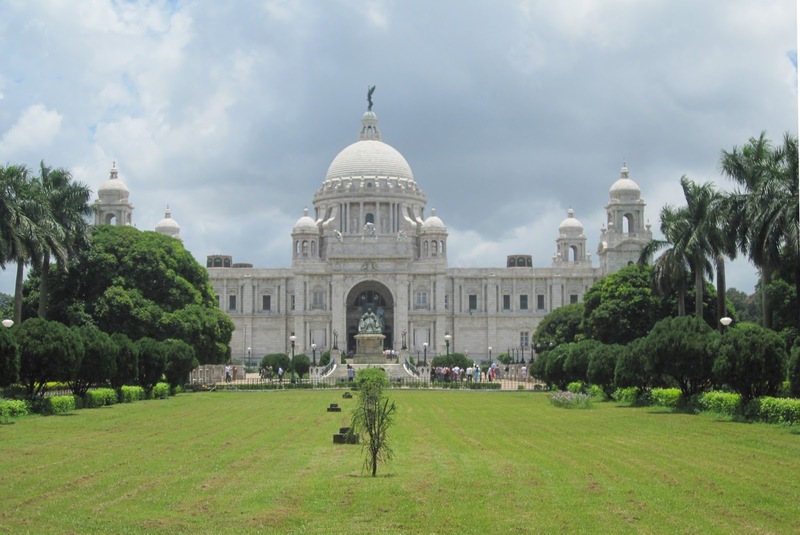 The Writer's Building in Calcutta was originally built in 1776-80 to a design by Thomas Lyon. Its original purpose was to house the junior clerks of the East India Company which were known as writers. The building would later house a college and some of the parts of the building were also used for commercial purposes. Images from the end of the 18th century shows a relatively plain block of white stucco with a central projection of Ionic columns. Classical porticoes were first added to the centre and ends of the facade in 1821. The building was further enlarged and embellished in 1877-82 and 1889-1906, during which time it became the secretariat of the viceroy of India. Built on the site of the former St Anne's church, the building is 150 metres long and covers the entire northern side of the former Dalhousie Square. The Victoria Memorial in Calcutta was built in 1906-21 to a design by the architect William Emerson. Originally proposed in the year the queen died in 1901 as a grand monument and museum in the capital of British India, the capital was later transferred to Delhi six years into construction. Like the Taj Mahal, the building is clad in Makrana marble from Rajasthan. Emerson also designed to Crawford Market in Mumbai, and All Saints Cathedral and Muir College, both in Allahabad. Some of the detailing on the memorial is attributed to supervising architect Vincent Jerome Esch. Humayun's tomb was built in 1569-70 by Persian architect Mirak Mirza Ghiyas. It was commissioned by the deceased Mughal emperor's first wife and chief consort and is considered the first garden-tomb in India. The tomb is located close to the old fort, which Humayun had renovated in 1533-38.